90 Day Fiance couple Kalani Faagata and Asuelu Pulaa have something big to celebrate! 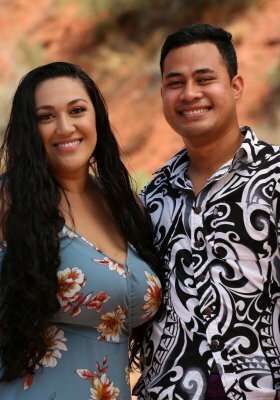 90 Day Fiance couple Kalani Faagata and Asuelu Pulaa have revealed the gender of their second child together and when the new baby is due! '90 Day Fiance' spoilers: Are Kalani Faagata and Asuelu Pulaa still together? Did they get married?! 90 Day Fiance's sixth-season finale hasn't aired on TLC yet, however spoilers have leaked out about the fate of Season 6 couple Kalani Faagata and Asuelu Pulaa.